Dear Pastors and all the faithful, the date 24 May could in the future become an occasion for the Catholics of the whole world to be united in prayer with the Church which is in China. 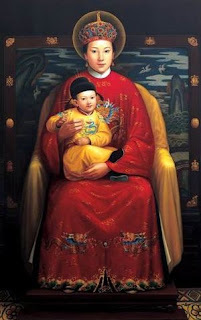 This day is dedicated to the liturgical memorial of Our Lady, Help of Christians, who is venerated with great devotion at the Marian Shrine of Sheshan in Shanghai. the entire Church in China looks to you with devout affection. standing beside your Son, who died that we might live. even those that are darkest, the signs of God's loving presence. Time Magazine: Is Liberal Catholicism Dead?